« Circus World Anniversary Days!! 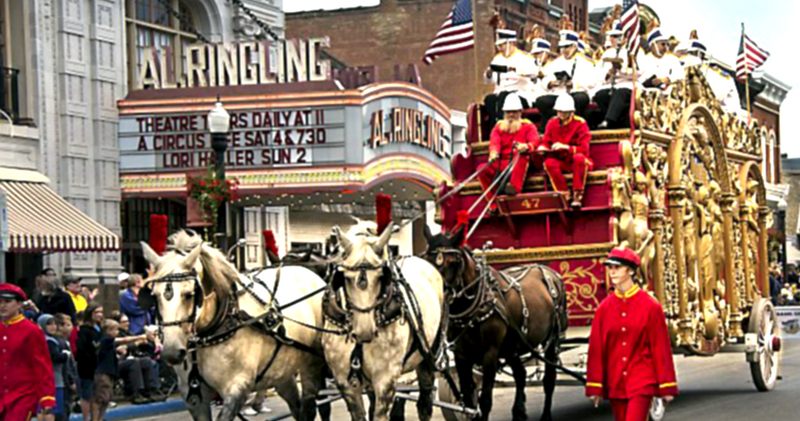 Baraboo’s Big Top Parade hits the streets of downtown for its 7th parade starting at 11:00 am, featuring wagons from Circus World’s collection and honoring Baraboo’s rich Circus Heritage home to the Ringling Bros. World’s Greatest Shows, the John Robinson Circus, the Gollmar Bros. Circus, the Adam Forepaugh & Sells Bros. Enormous United Shows, the Hodgini Bros. Combined Railroad Shows, The Fun on the Farm Circus, and Wilbur W. Deppe’s Classic Country Circus. A special post parade admission price to Circus World of $5 awaits in honor of the 7th Anniversary of this amazing community event! Watch for more information posted here as it becomes available.